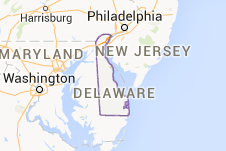 Need Lemon Law Help in Delaware? Call 1-800-LEMON-LAW Today. The Lemon Law in Delaware provides 100% cost-free Lemon Law help to distressed drivers dealing with defective vehicles throughout the state. If you are driving a lemon, the Lemon Law attorneys at Kimmel & Silverman may be able to help. Kimmel & Silverman has provided cost-free Lemon Law help to more than 80,000 consumers throughout the Northeast. In addition to working with government to revise and strengthen consumer legislation, our firm received Meritorious Recognition as part of the 2002 Louis M. Brown Award for Legal Access Competition presented by the American Bar Association’s Standing Committee on Delivery of Legal Services. If you have questions about the Lemon Law in Delaware, feel free to email us, complete our Get Rid of Your Lemon form, or call our toll-free hotline: 1-800-LEMON-LAW (1-800-536-6652). You have nothing to lose except your lemon! What is the "Lemon Law" in Delaware? The Lemon Law in Delaware covers vehicles that have a significant non-conformity which can not be fixed after a reasonable number of repair attempts. According to the Lemon Law in Delaware, the nonconformity must occur in the first year of ownership. Please be advised that, even if you do not fall under the provisions of the DE Lemon Law, you still could be entitled to a remedy under the Federal Breach of Warranty Law known as the Magnuson–Moss Warranty Act. We understand that the Lemon Law can be confusing for many consumers and is open up to numerous interpretations if you don't understand how it works. If you are driving a defective vehicle and you want to find out if you are entitled to cost-free legal help, feel free to submit a question online or contact us for a free case evaluation. We also encourage you to review the current Delaware Lemon Law Statute. Have more questions? Our DE Lemon Law FAQ has the answers.